Lauren said I had to write a post or she would start all of her posts with “X Days since Lloyd has posted.” Nobody wants that kind of trouble. I was not sorry that I did. 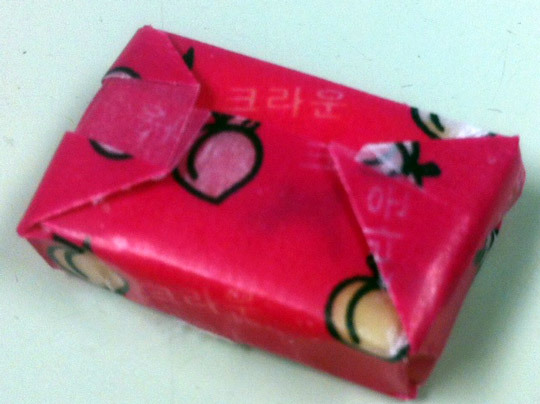 It was the most perfect peach tasting candy that I have ever tasted in my life. It was as if someone captured the very essence of what it mean to be a peach and then sucked out all the parts that are good for you. I had to think for a long time before I figured out what the texture was. My mouth knew that it was like something that had been in it before, but I couldn’t put my finger on it –mostly because my mom taught me that that was rude once you’d put it in your mouth. Finally it hit me. It was a Starburst. Exactly a Starburst and exactly a peach. I ate them all. It did not take long. Mmmmmmmmmmmmm….. tell that kid he’s going to fail math unless he gives you candy for your wife. 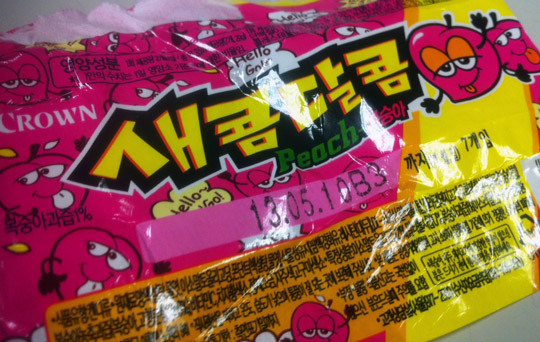 Can’t say I’d be a big fan of the peach candy. See if that kid can get his hand on some Fudgies. Mmmmmm…. He must have been in your class before. He knew you would love any fruit flavor.